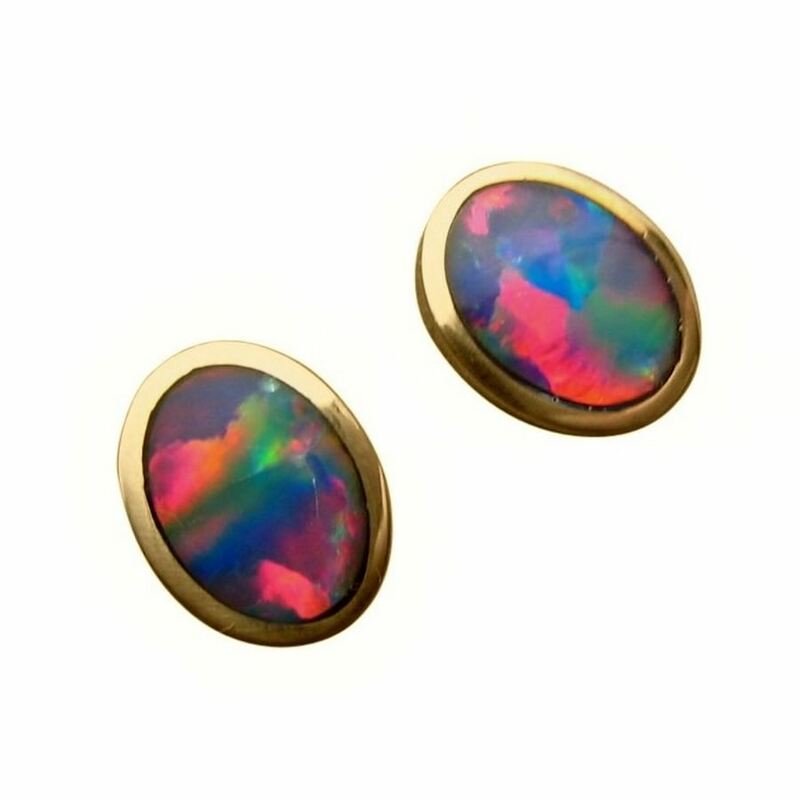 Oval Opal stud earrings with very bright Red and Blue in a gorgeous play of color set in 14k Gold classic style settings. 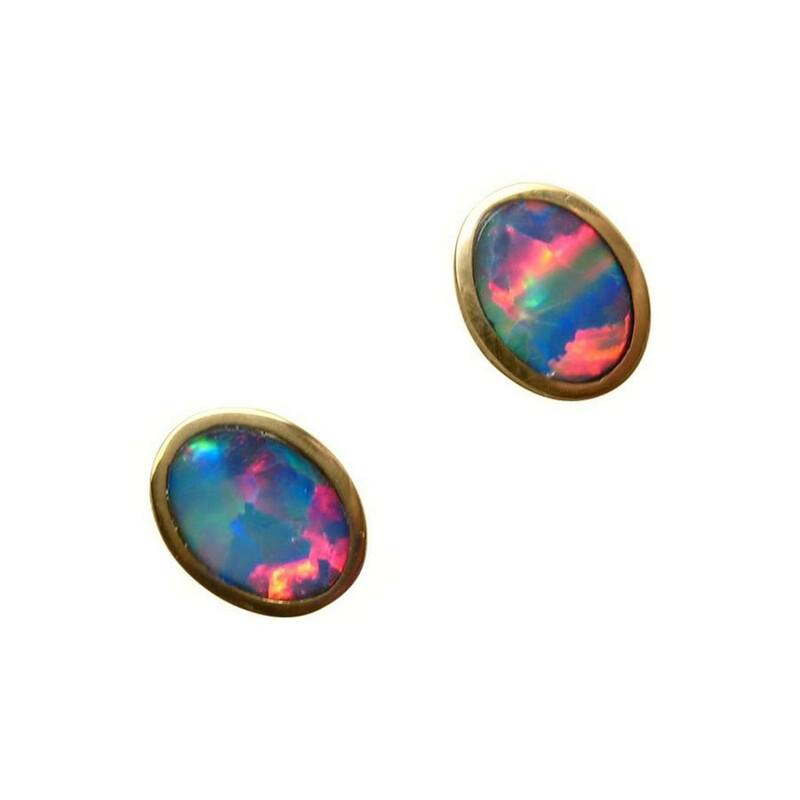 A beautiful vibrant pair of Opal stud earrings with Lightning Ridge Opals that are very bright showing Red and Blue which stands out against the 14k Yellow Gold Studs. 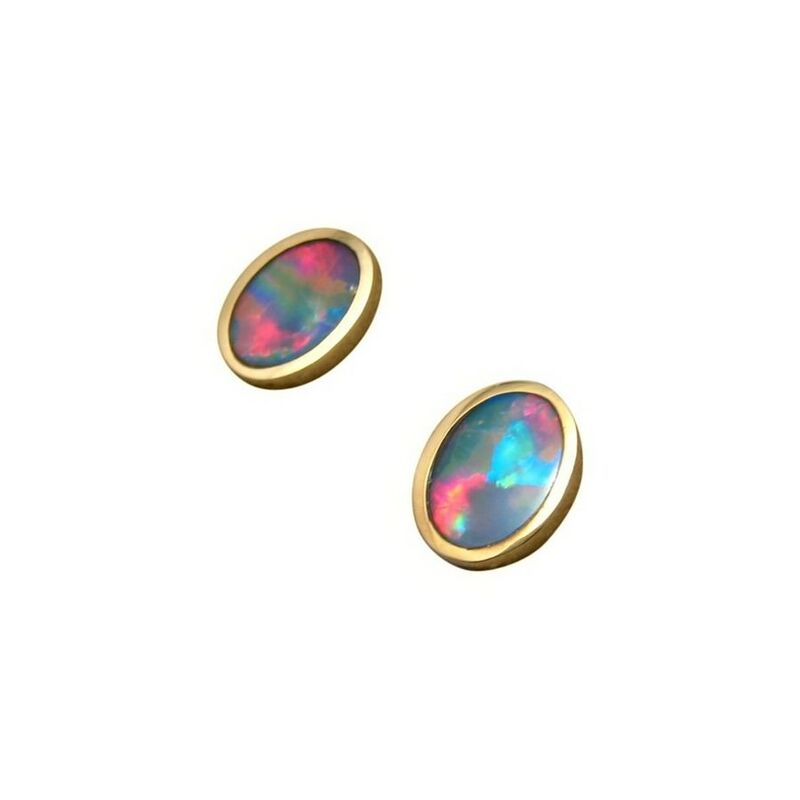 Each stud measures 9.5 x 7.5 mm and with the bright colors and fabulous Patch Harlequin pattern, the earrings are sure to be noticed and admired when worn. 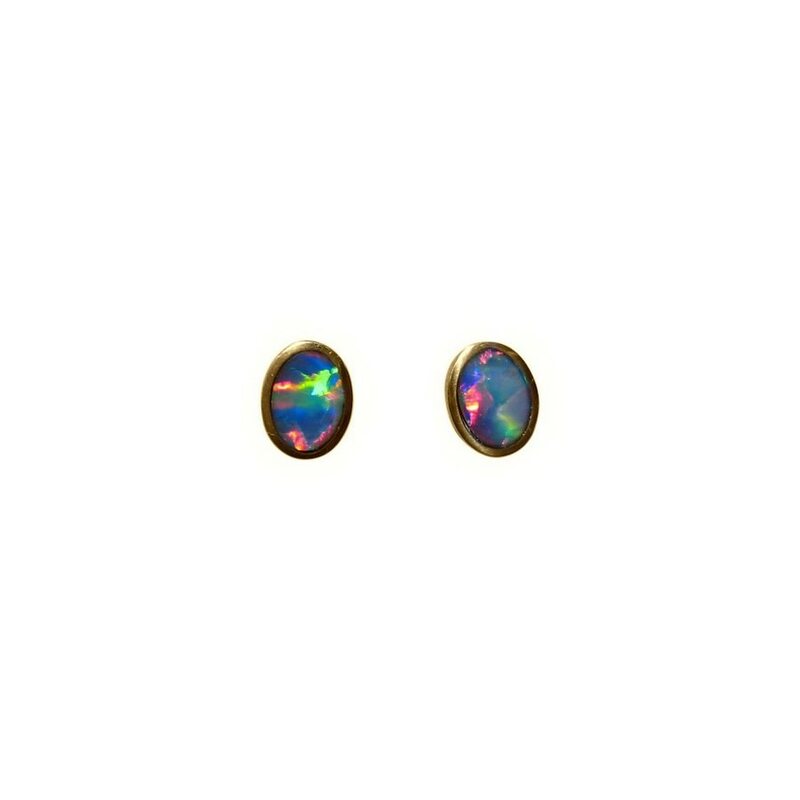 Watch the video below to see these beautiful earrings flash with movement. 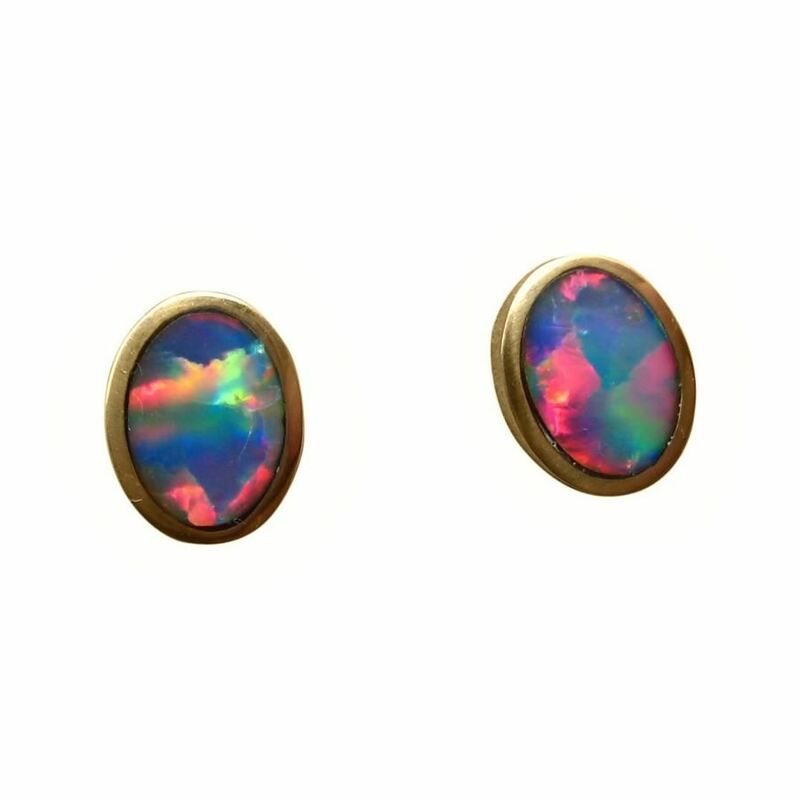 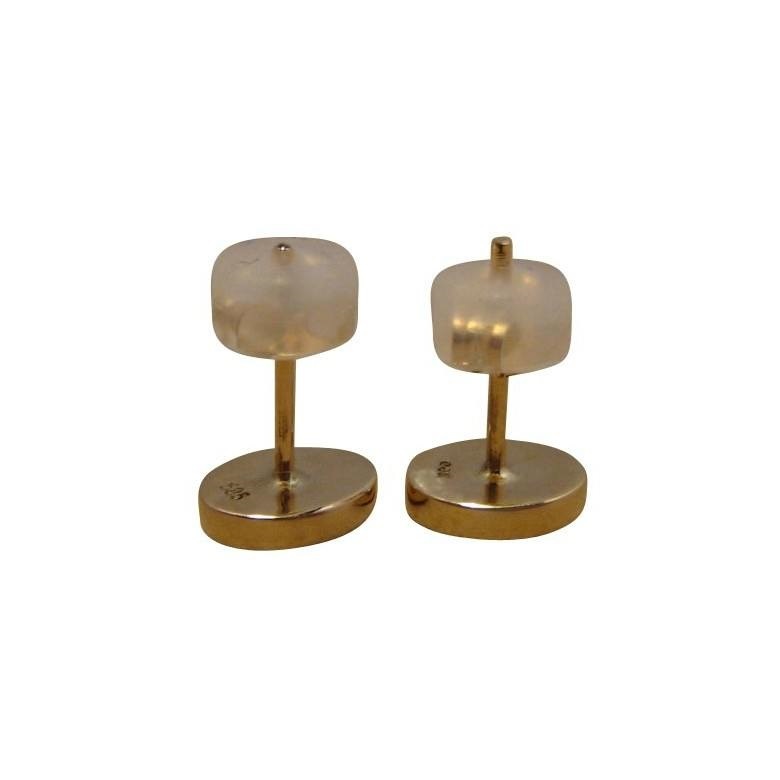 A stylish pair of Opal earrings that are ready to ship now and would be a great gift for the women who loves color.